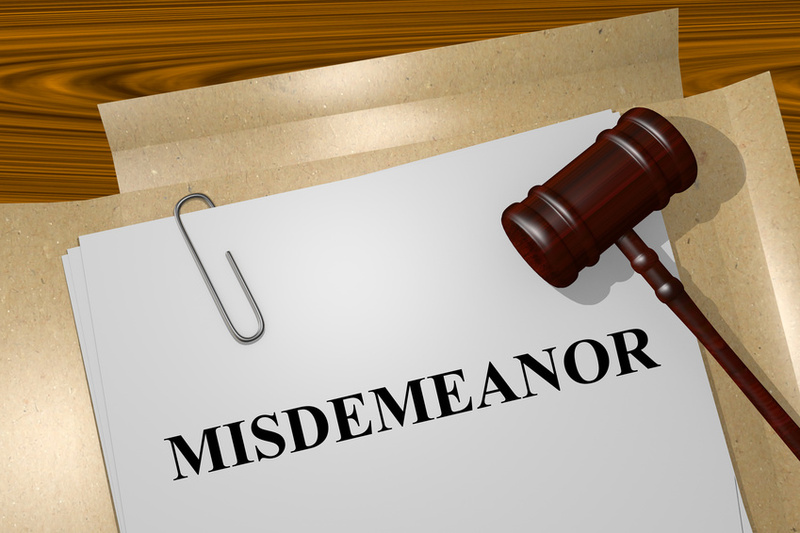 When you hear the word “misdemeanor,” you might assume this matter is minor. In reality, such criminal matters can still have very serious consequences. Although being convicted of a felony is undoubtedly more severe, having a misdemeanor crime on your record has the power to affect your life (and the lives of others) in both the present and the future. We’ll discuss the different misdemeanor classifications, as well as common examples of these crimes, in today’s post. Before we delve into examples of misdemeanor crimes, you may find it helpful to learn a bit more about the different misdemeanor classifications. There are numerous crimes that are considered to be misdemeanors, which are further broken down into specific categories. There are four classifications of misdemeanors in Oregon: Class A, Class B, Class C, and Unclassified. There are all kinds of crimes that are considered to be misdemeanors. They can range from reckless driving and criminal trespassing to harassment, sexual misconduct, and assault. Prostitution and solicitation are considered Class A misdemeanors as well, meaning they’re punishable by the consequences outlined in the section above. DUIs also fall under the misdemeanor category of criminal matters. And then there are the odd outliers, like boating while intoxicated, unlawful sound recording, and tampering with television equipment. Second- and third-degree theft, resisting arrest, obstruction of justice, and serving alcohol to minors are also misdemeanors. While many of these crimes have specific penalties outlined by law, they do all have one thing in common: being convicted of such a crime could make it much harder for you to keep a job, provide for your family, and maintain your reputation as an upstanding citizen. Don’t assume that just because it’s a misdemeanor that it doesn’t matter. Without legal assistance, these criminal allegations have the potential to derail your plans for the future and your ability to contribute to society. It’s important to take these criminal matters seriously. If you or someone you know has been arrested and charged with a misdemeanor crime, it’s essential to seek out experienced legal representation. For more information or to schedule a consultation, please contact our firm today. Next Next post: DUI Disclosure: Do You Have to Include a Drunk Driving Conviction On a Job Application?